On an isolated farm in southern Ireland, a decades-old grave houses the dismembered bones of 11 women. Detective Superintendent Katie Maguire of the Irish Gardai is used to bloodshed, but these white bones speak of unimaginable butchery. Not far away, a young American tourist is at the mercy of a sadistic killer. His tools are a boning knife, twine, and a doll fashioned from rags, nails, and fish-hooks. The murder of his victims is secondary only to his pleasure at their pain. 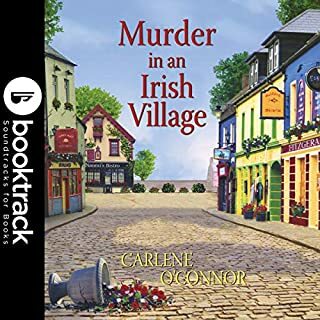 As more and more victims are ritualistically murdered, Katie Maguire finds that she must solve an ancient Irish mystery to catch a terrifying present-day killer. What disappointed you about White Bones? in minute detail are stomach turning. What other book might you compare White Bones to and why? Broken Angels by same author. What does Caroline Lennon bring to the story that you wouldn’t experience if you just read the book? Excellent pronunciation of the Irish language. Caroline is great. Dont buy this book if you are easily unnerved. What made the experience of listening to White Bones the most enjoyable? Mr. Masterton's imagination is full of darkness and he is not afraid to show it. Love it! Which character – as performed by Caroline Lennon – was your favorite? Love Katie Maguire. Compelling if imperfect story. 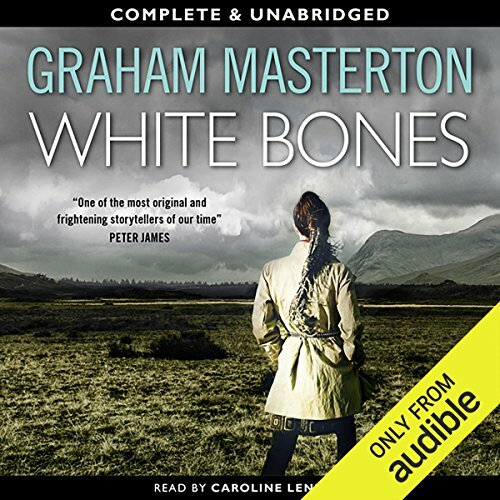 Where does White Bones rank among all the audiobooks you’ve listened to so far? Graham Masterton is a really masterful storyteller, and the twists come fast and furious. A few choices are more over-the-top than I like in my mysteries (prefer them slightly more real,) but I can't imagine he'd ever be a wasted listen. Love his ability to set up Cork as a place in time, and to draw a series of interesting characters. Katie is a great character. She makes unique moral choices - more interesting than a lot of authors would allow- and her morality is very particular to her as a character. I like her doggedness. Masterton isn't afraid to let her screw up, either, which makes her all the more real. The ultimate villain of this piece is interesting too. Not entirely unexpected when revealed, but still worth it. What three words best describe Caroline Lennon’s voice? The narrator's voice is dramatic but also soothing with its Irish lilt. It's honeyed and unique. HOWEVER, I really feel that she hams it up awfully with the American characters. Their accents are SO BAD that it unfortunately ruins some really important scenes. Seriously. 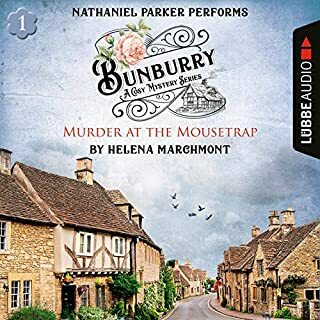 A suggestion of an accent often works better than when narrators try to fully do an accent (this must happen to British listeners all the time, but my ear is tuned to North American. Sorry, British listeners! Wow!) The end of the second book implies that there are more American characters to come so I hope this is fixed. Masterton shows his roots as a horror author - BOY is there some gore in here. Just a warning. I'm not squeamish by most measures, but something about listening to the torturous scenes in here was pretty difficult... He also likes supernatural subjects a lot. Some lesbian stuff in both books so far has been kinda gratuitous from where I sit - much more a male fantasy than a true female experience. Not enough to wreck anything, just a little silly. I listened to the second Katie Maguire book first. If you think you might listen to it, you might want to do this one first. 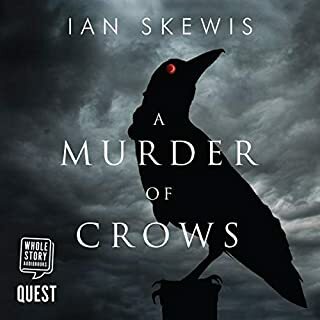 It doesn't matter much in a lot of series, but there is some serious story arcing from book-to-book here, and the journey of this one was a little spoiled by listening out of order. What would have made White Bones better? The graphic descriptions of sadistic violence were distracting and seemed unnecessary. I find stories that leave some of these details to the imagination and focus on the forensic analysis to be far more interesting. What could Graham Masterton have done to make this a more enjoyable book for you? As stated above, there were elements of the story that were interesting; however, I found the descriptions of the sadistic acts to be unnecessary. Several of the characters were interesting. I recommend against downloading this book if you are sensitive to butchery and extreme suffering. I have read six of Chelsea Cain's Archie Sheridan/Gretchen books and found them to be gruesome, but enjoyed the series. White Bones far exceeded my threshold for gore. Masterton is as good at thrillers as he is at horror. 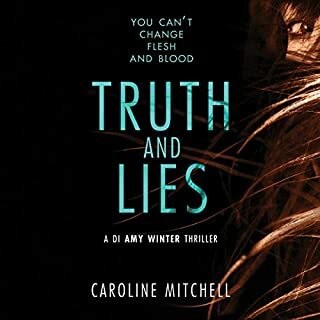 This book bridges a well written cop thriller in the same vain as HBO’s True Detective or BBC’s Luther with a good mix of what Masterton is more well known for, Horror. Reduced the rating by 1 star on all accounts, as I figured out the ending before I got there. I just wish that had been disguised a little better or some more red herrings thrown around so that when I did get to the end it was different to what I thought - that’s what would have made it the full 5 star rating for me. 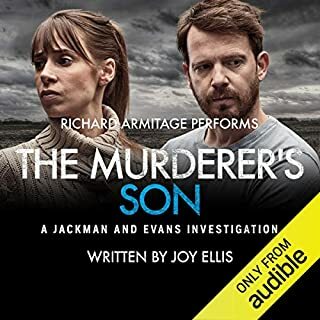 The performance is very good also, I had a little trouble at first getting used to the Irish accent, although it fits the story and character perfectly, so this is more my own issue rather than the reader. After an hour or so I slid right into it and didn’t notice any longer. Overall a great book that is one I’d recommend to anyone who enjoys a cop thriller and doesn’t mind a bit of gore and lore involved. 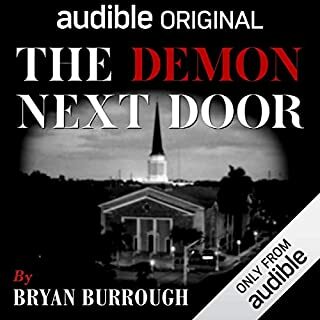 Looking forward to listening to the rest of this series, I have always been a lover of GM’s full blooded horror but as I have seem to grown out of that, so to has Masterton matured with me with this healthy twist of the genre. I like listening to books read with an Irish accent so this caught my eye. Despite reviews of the goriness I did not find it that offensive. The story started out with an interesting concept but about 90% through galloped to a disappointing end. I give it a “meh”. Really enjoyed the twists + turns of the storyline! Unexpected ending! Learned about more folklore of the region! Am getting the next book in the series! Good read, but a bit gruesome in places. Story moves along at a good pace, with twists along the way and great main character. Keeps u guessing and is well narrated. Will definitely read more in the series. I've read hundreds of murder mysteries but none of them disturbed me as much as this one. The torture and detail in which it was described was too much. What did you love best about White Bones? I have a fairly strong stomach, but the descriptions of torture were quite harrowing. But don't let this deter you from listening to this book. It's a ripper. None in particular. Caroline Lennon is a talented performer and all characters were well differentiated. There is a great deal of "Irishness" in this book, and I found it thoroughly entertaining. I loved the dialogue, the turns of phrase, and throughout, there was a real sense of being right there in the thick of it. When you start on a series, and enjoy it, it's lovely to know there are more in the series. However, knowing this also takes away some of the suspense when the main character is in real peril. I mean, there are three more books, so how can she possibly die? But I guess it's a small price to pay when you also know there are at least three more adventures for our heroine to (and us) to enjoy. The story and main characters are good but interspersed with chapters of torture that are graphic and gruesome. I'm about a quarter through and wondering whether I can finish it. Would you be willing to try another book from Graham Masterton? Why or why not? Could you see White Bones being made into a movie or a TV series? Who would the stars be? I should have heeded the reviews! I will be returning this one. However, its my own fault. I should have believed the earlier reviews. The book has some of the most graphic violence I have ever read. I am not easily shocked or a prude but just found it horrible and gave up after a couple of hours. Its a shame as I found the book really engaging otherwise. I also dont agree with some reviewers about the narrator. I thought she was great and would listen to her again. If you like really, really graphic and detailed horror - this may be for you. What did you like best about White Bones? What did you like least? The pacing of the story was good but the excessive, Repetitive gore made for an uncomfortable read. Once the picture was painted of the fate of the girls the author could profitably have left things to our memory. Gore for gores sake does not make for a good book. Unless you like large amounts of detailed violence, give this a miss. What was most disappointing about Graham Masterton’s story? The most disappointing was his over-reliance on detailed description of torture. Suspense and atmosphere can be built up quite effectively without going into intimate detail, especially when an element of repetition of scenes creeps in. As it is it created a one-dimensional story of horror and depravity when the author has more tools in his armoury, which he could deploy. Which character – as performed by Caroline Lennon – was your favourite? Katie was a sound character around whom other books can be centred. However, she would lose credibility if every book presented her with sick repetitive violence. One hopes that the author has it within him. Otherwise - see the last section. Did White Bones inspire you to do anything? Be very careful about reading, or listening to, anything by this author. The only reason why I stayed with this book was the reading by Caroline Lennon. If it had been read badly, I would have given up upon it. Ms Lennon's skill lay in her ability to create her own tension by avoiding histrionics. Diction was good, pacing was excellent and she created tension by, at times, an almost matter of fact reading, detached might be better, which allowed the story to unfold naturally. I don't mean to suggest that it was flat and uninvolved, anything but. The real skill lies in creating tension, holding the listeners attention, in a seemingly effortless, understated, way. That takes real talent. Loved the accent, true to its story, good pace, likeable characters. I enjoyed very much. An engaging story with plenty of suspense. There's a hint of the supernatural, but not enough to be troublesome. My main objection is the over-detailed description of the crimes as they are committed - I didn't need to hear that. This was just about the most gruesome book I have listened to. I hadn't read any Graham Masterton before and don't know if they are all like this. I could have done with a warning but having said that I did listen on to the end as it was compelling ! I found this a very disturbing but compelling listen with a hint of the supernatural attached. The narration was good once you tuned in to the Irish lilt. Slightly too long with too many American references eg cell phones and sidewalks. The main character is a strong woman that you really warm to and I shall be listening to others in Katy Maguire series. If you could sum up White Bones in three words, what would they be? I'm not sure. I really struggled with the detail of the murders. Did Caroline Lennon do a good job differentiating each of the characters? How? Yes but I got a bit lost with the secondary characters of husband Paul and his dodgy dealings. I liked the relationship between the lead character and her dad, that was touching. Couldn't. You couldn't eat your tea and listen to bits of this. You couldn't just turn off and go to sleep. I had to pace myself with this one! I didn't fully get some of the plot & wondered if it was a bit flawed - I don't want to give it away to anyone who hasn't read the book but there did appear to be a few holes in the ending. A great read for those who like explicit violence. A little too gut churning for me however I was intrigued as to who would commit such a heinous crime and their reasons for it. I am torn between reading another ( see reviews for next books in series) or letting this be a great stand alone experience. Gruesome but good. enjoyable. Unique story, well narrated. Will read more from this author and listen to other stories narrated by Caroline Lennon. Great combination. Very enjoyable. Read some. Listened to most of it. Great natration. looking forward to hearing the next one. Not so sure about this one. Definitely different. It's a good story but a bit too off beat and gruesome for me. I can handle gruesome quite well but found this too out there for me. Would I listen again - NO.